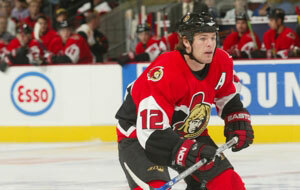 Mike Fisher potted two goals on Saturday night in the Senators' 5-4 win against the New Jersey Devils. Was Uncle David proud? You bet your boots I was! Keep up the good work, Little Fish!